Sterling Silver is called 925 as it contain of 95.2% of Silver Mass and 7.5% of other materials. In another word, we can say the mass is pure of silver with a minimum of 92.5% of Silver. The popular Sterling Silver is called also the Italian Silver as its Made in Italy. The Sterling Silver Alloy is combined with the Copper in order to be formed and gives the shape required form. Sterling Silver Assortments of Jewelry contains Rings, Bracelets, Bangles, Earrings, Necklaces or all combined together to for a fancy jewelry set. It has been combined with Cubic Zirconia stones with multi-colorful. Cubic Zirconia and Crystal are a hard laboratory made stones usually colorless. Most of times in order to cope with the trends, designs, and fashion it comes with colorful. Teenagers, adults and other age groups each got a taste of stones colors would like to obtain. The Cubic Zirconia can be shaped in any shape required from the stars, heart shape, circles, squares, flowers… etc. Another kind of crystal is the Rhinestone Crystals. The source of it the Rhine river in Europe that why the name. Mostly it got reshaped to the lower parts to give the diamond shining to imitate it. Globally the well-known name of Crystals or the shinning stones is Swarovski. The Swarovski brand name popularity replaced the name of any stone whether its crystal, rhinestone, zircon or any similar stone from this family. 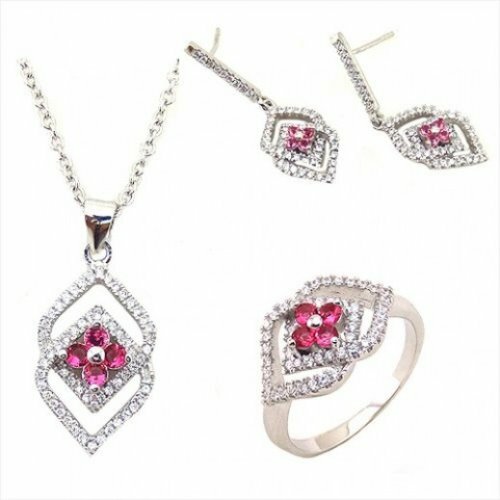 Accessories like Rings, Necklace, Bracelets, Bangles and last and not least to Earrings are widely used nowadays and the demand of them is high required due many reasons. It can be a substitutes of gold mostly, while the main reason of wearing accessories is the flexibility, durability and the cheaper price than the expensive gold prices and the gemstones. Work, sport, outdoor activities, home, beach, day & night, travel and so many other activities, occasions and/or places people wears accessories with no restrictions.